It’s here, folks. Samsung only recently launched its first phone with three rear cameras, and it’s now taking things up a notch with the Galaxy A9 and its quad-camera setup. 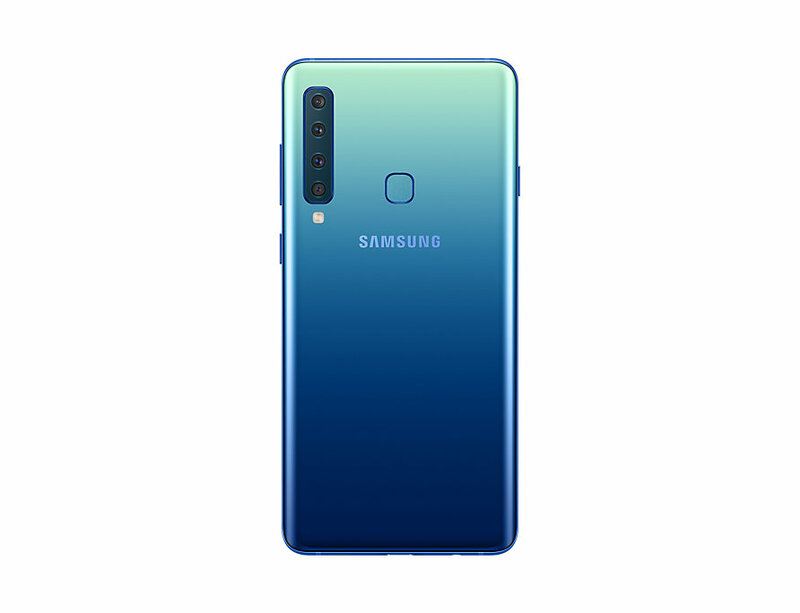 The Galaxy A9 (2018) is the first non-flagship Samsung phone with a dedicated telephoto camera lens for 2x optical zoom. It also gets an ultra-wide sensor (120-degree field of view, 8MP, F2.4) like the A7, a 5MP depth sensor for Live Focus bokeh pictures, and a 24-megapixel F1.7 primary camera. All four rear cameras are arranged vertically at the back, accompanied by a fingerprint sensor in the middle. The Galaxy A9 is also packed with plenty of other impressive features. It’s the first mid-range Galaxy phone to come in a variant with 8GB of RAM; the base model gets 6GB of RAM (both 8GB and 6GB models have 128GB internal storage). There’s an octa-core Snapdragon 660 under the hood, and powering all that hardware is a nice big 3,800 mAh battery. 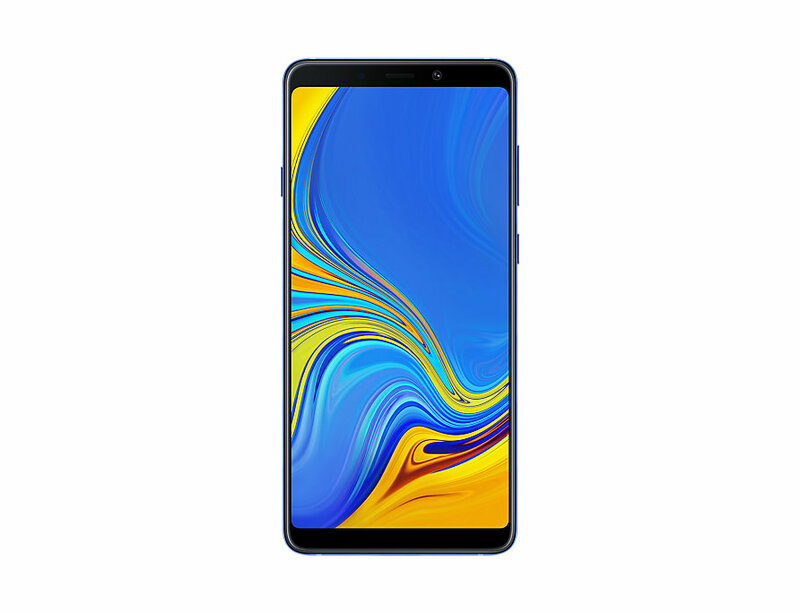 The front camera on the Galaxy A9 is a 24-megapixel F2.0 sensor, and the rear camera has a dedicated Scene Optimizer mode and Flaw Detection like the Galaxy Note 9. 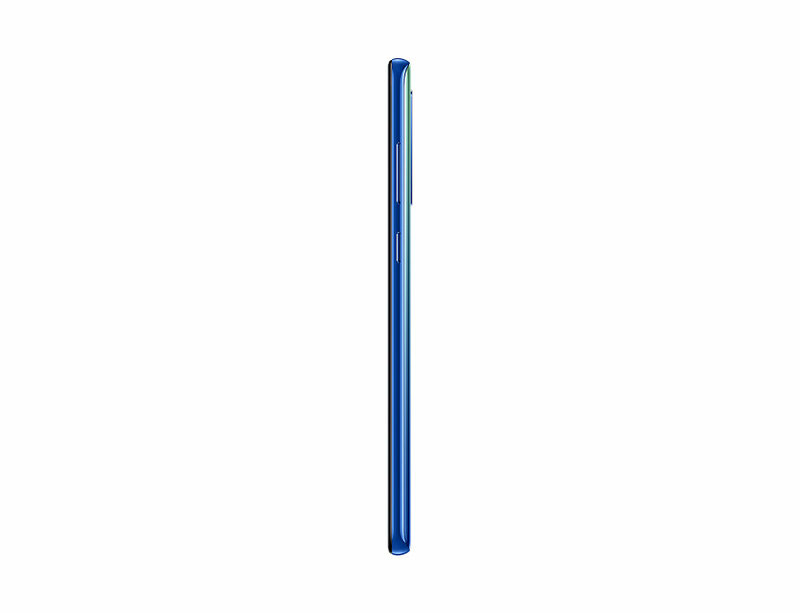 The new A9 gets a 6.3-inch Super AMOLED Full HD+ (2220×1080) display and has the same glass-heavy design as Samsung flagships. 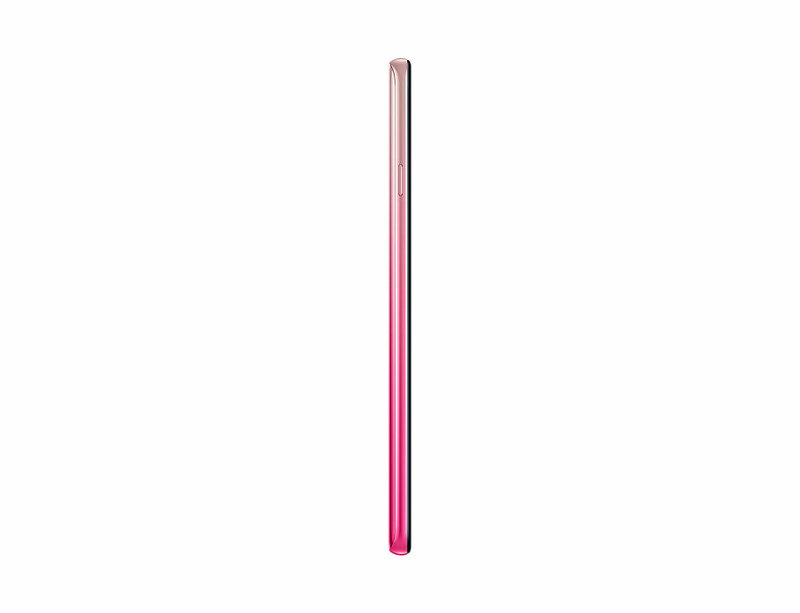 Samsung has introduced some new color options, or at least new names for existing colors. The Galaxy A9 color options include Caviar Black, Lemonade Blue and Bubblegum Pink. These colors have a gradient look – for example, the blue version is more like green at the top and a dark blue at the bottom, making for a striking design. On the software front, the Galaxy A9 comes with Android 8.0 Oreo out of the box and features like App Pair. It’s yet another mid-range Samsung phone to come with Bixby Voice support and a dedicated Bixby button. Samsung Pay support is present as well, although it looks like Samsung has once again omitted an MST chip. That means Samsung Pay will only work over NFC, making it rather useless in many countries. The A9 isn’t water resistant, either. The Galaxy A9 will go on sale in November in select markets. Pricing details will vary by country, but the price for the base model in Europe will be set at €599 (with possibly €50 more for the 8GB/128GB configuration). More information on price and release dates will come out in the coming weeks. 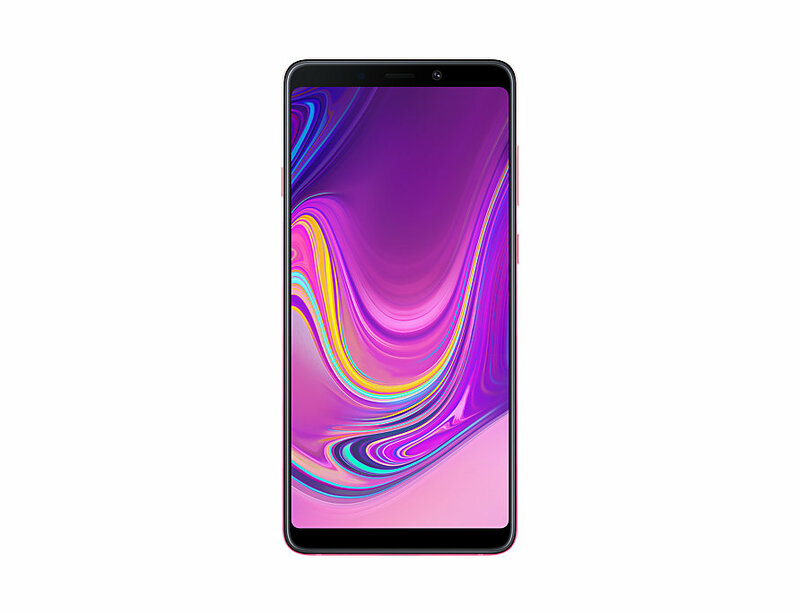 What do you think of the new Galaxy A9? Update: The article earlier said that the A9 is powered by the Snapdragon 710, which is not the case. It has a Snapdragon 660, and we have updated the article to reflect that. Nice approach by Samsung to attract customers by 4 rear cam but main concern is price. Hope they provide good competitive price to outsmart oneplus phones. Hi, small typo. In the article you write “(both 8GB and 6GB models have 128GB internal storage)”, and at the end you write “(with possibly €50 more for the 8GB/512GB configuration)”. I’m sure you mean 8GB or 8GB/128GB configuration in the second case. Is it suppose to be Snapdragon 660? Yes, it looks like it. We have updated the article.